We’ve been asked many things during a regular consultation with one of our patients. There is one that I hear more about on the side of the cost of hair transplant: “Can we use hair from anywhere else other than the back and sides of the scalp?” our hair transplant surgeon says, “Hair can be harvested from almost any part of scalp or body that grows hair and it can be transplanted to any part of the skin.” This is really not an unusual thing for any hair transplant surgeon to do. This is considered a last resort for patients who do not have sufficient donor hair on their scalp or for those whom have had old technique hair transplant procedures that have violated the donor area. As we stated, any hair that grows on your body can be used for hair restoration surgery but the scalp donor hair is regarded as the best option when it comes to hair quality. Compared to most body hair, scalp hair has a much longer growth phase (Anagen phase; grows for as long as 1-6 years) and a much shorter resting phase (Telogen phase; hair dies in 4-6 weeks). It is also the most economic choice since there is a much higher density and does not require special techniques to harvest the grafts. 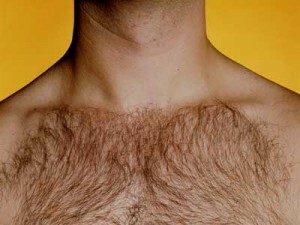 Body hair, however, has an almost reversed growth and rest phase. Body or pubic hair grows for about a few months or less and switches to a long resting phase. This is why pubic hair only grows to a certain length. There have been limited studies that have shown that body or pubic hair can change their inherent characteristics and even increase its growth phase when transplanted to the scalp. The research is insufficient and is still ongoing. We’ve successfully transplanted pubic hair on select patients. One in particular did not have sufficient donor hair for his procedure due to a violated donor area and miniaturization. We took what we could from the back of his scalp to restore his hairline and harvested pubic hair to reinforce the crown. The key idea is that there really is no limit to hair restoration surgery. If the patient is lacking in donor hair or requires a large number of hair grafts, pubic hair may be a viable option. Of course, we will evaluate the quality of the donor hair first before considering any other options. A good hair transplant surgeon can determine your candidacy and explain the options available to you prior to any form of surgical hair transplant treatment.